Looks like the trusty old VGA interface is on its way out and while you’ll still see legacy systems and devices using this 25 year old standard for monitor connections, the newer laptops and computers are starting to pass on VGA connectors in favor of HDMI which, among its other benefits, allows for thinner devices. When I bought my new laptop computer, I never even thought to check if it had a VGA monitor port on it and, sure enough, it doesn’t. Instead, it has an Active HDMI port on the side. This wasn’t a problem until I tried connecting it to a projector during a meeting a few months ago and found out that projector’s HDMI interface didn’t work. 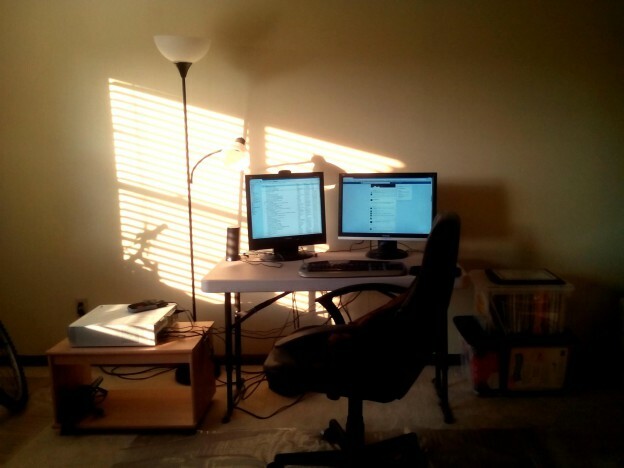 This entry was posted in Hardware, How-to, Reviews and tagged Adapters on October 21, 2014 by Andrew Comeau. 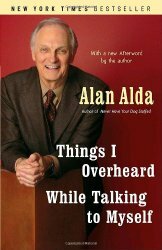 I read Alan Alda’s first autobiography, Never Have Your Dog Stuffed and knew that he had come out with a sequel but hadn’t gotten around to it. Then I found the unabridged audio version at a book sale and snapped it up. I haven’t been disappointed. The first book ended with Alda’s near death on a mountaintop in Chile due to an life-threatening medical crisis. The second book, Things I Overheard While Talking to Myself, picks up where it left off and chronicles his search for meaning after surviving the crisis and recognizing he had gotten a second chance. He did this, in part, by going through some of his older writings, including the commencement addresses he’d written to deliver at his daughters’ college graduations and remembering the insights he “didn’t know he knew”. This was something that resonated with me because of the small amount of writing I’ve done over the years and my own efforts to put some of my insights and lessons into words. This entry was posted in Reviews and tagged Books on October 21, 2014 by Andrew Comeau. 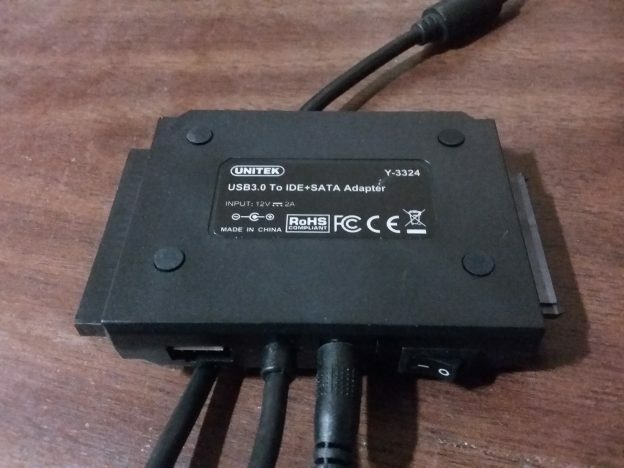 A few months ago, I purchased the StarTech USB to VGA adapter for my system. I got tired of the single display and going with a USB adapter was a lot easier than modifying the computer itself to support two displays. 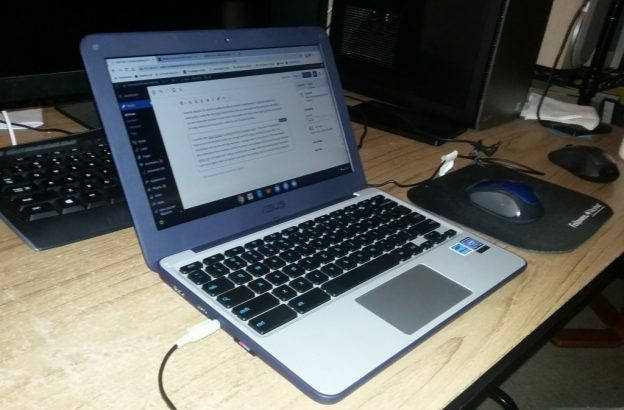 Going by the reviews on Amazon , I decided on the USB32VGAEH model which supports USB 3.0, VGA displays and includes a pass-through USB port. There are also models that will enable you to add a new DVI and HDMI display through a USB port. 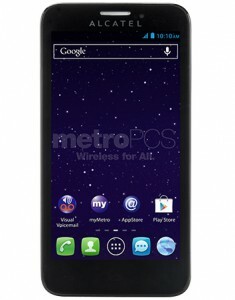 This entry was posted in Hardware, Reviews and tagged Display, USB, VGA on August 24, 2014 by Andrew Comeau. If you’ve ever replaced a computer or upgraded to a new one, one of the first things you probably thought about was how to transfer all of your data from the old system. These days, this can mean copying many large files and that can take some time. or an external hard drive and then copy it to the new machine. That can have the added bonus of creating a backup but might not always be possible or appropriate, especially if you have more data than you can fit on whatever external devices are available or if, like me, you work on other people’s machines and don’t wan’t to keep a copy of the data. It also takes time to copy that data down and then copy it back up. This entry was posted in Hardware, Reviews and tagged Adapters, Cables on May 10, 2014 by Andrew Comeau. 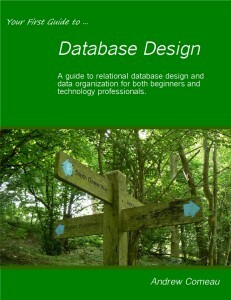 In my upcoming book, Your First Guide to Database Design, my goal is to provide a clear guide for users at all levels of experience on how to organize their data into an efficient database, regardless of whether they’re using a desktop database like Microsoft Access or a network software such as MySQL. The first chapter starts out with the basic definition of a database and the various ways in which information is stored and transferred in modern systems. The rest of the book takes the user through clear, logical steps of modeling the data and creating a new database that can be used for analysis and reporting. “Software users don’t like surprises as much as some designers seem to think and what looks cool and innovative to you as the designer can confuse and annoy the user. Many people have experienced this annoyance first-hand in the last few years as a certain leading software company has repeatedly reorganized the look and feel of its software products, leaving many users with the burden of having to re-learn how to do the same things they’ve always done. “In my experience, many everyday computer users know enough to get their jobs done and that’s as much as they want to know. These people find more delight in getting their work done so they can go home to their families or out for the evening than they do in the latest tech trends. They’re far more interested in their own hobbies and diversions than they are in the ways in which a software company has found to make its products look more exciting in order to stay relevant in the marketplace. They find no joy whatsoever in playing hide-and-seek with the software functions they need. Some of them, like me, are getting to a point where the ever-escalating pace of change isn’t quite as thrilling as it used to be and familiar things are a lot more comforting. Maybe they have certain disabilities that make radical changes harder to cope with. “What all this means to you as a designer is that your first priority, after making sure that the program doesn’t crash on start-up, is to design an interface that your users can be comfortable using everyday. It doesn’t matter if you are a lone developer creating database applications for your office to use, a corporate programmer designing enterprise software for the entire company or a software engineer designing the next software sensation; your users are your customers. Without them, your work is an intellectual exercise at best. If you deliver a product to them that causes confusion and pain, they will eventually find a way to go elsewhere. Writing a book, or at least doing it properly, is a fair amount of work and I’ve been working on this one for a a few months now. My goal is to have it published as an ebook by the first week of October. Check out the book’s official page for continuing updates. 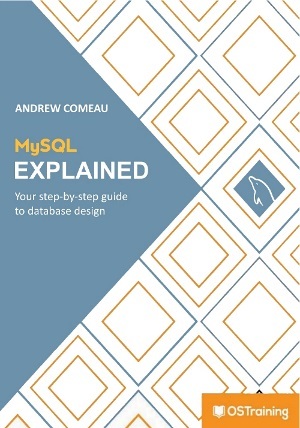 This entry was posted in Database Design, Programming, Reviews and tagged Books on September 18, 2013 by Andrew Comeau. That one quote pretty much sold me on the book. It echoes an idea that hit me over the head sometime ago which I’ve kept in mind and shared ever since even if I haven’t been able to fully practice it. The old adage says that time is money but time is not money; it’s infinitely more precious. I’ve wasted money over the years on things I didn’t need and that knowledge doesn’t hurt nearly as much as knowing the time I’ve wasted and can never replace. Money in the bank can be counted but tomorrow is never guaranteed. Even over the last few months, I’ve let myself be snagged by a lot of time-wasters from Facebook to resentments I’ve held onto and I’m finally realizing the price that I’m paying for that baggage in terms of progress and self-confidence. It’s easy to whine about not being motivated but motivation only comes from exercising a little self-control and making ourselves take that first step and then the next. So I’ve found another book for the reading list once I get some of the old stuff cleared off my desk. This entry was posted in Careers, Reviews and tagged Books on May 11, 2013 by Andrew Comeau.